Say goodbye to taking up precious storage space with lint roller refills, and hello to our washable lint roller. The sticky roller collects lint, hair and other debris and washes clean with water. After washing, flick the roller so it becomes dry and ready to reuse. 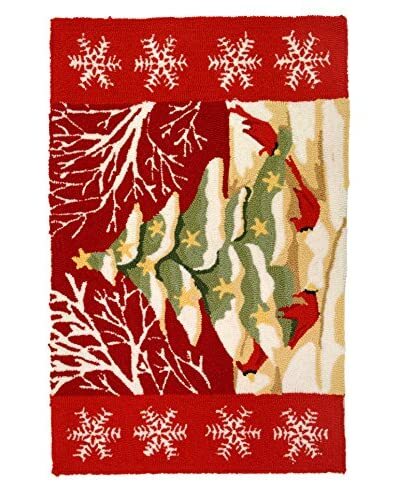 Homefires Rugs Christmas Tree In White Forest, Red, 22" x 34"